· Big handle for easy gripping, even with mittens or gloves. 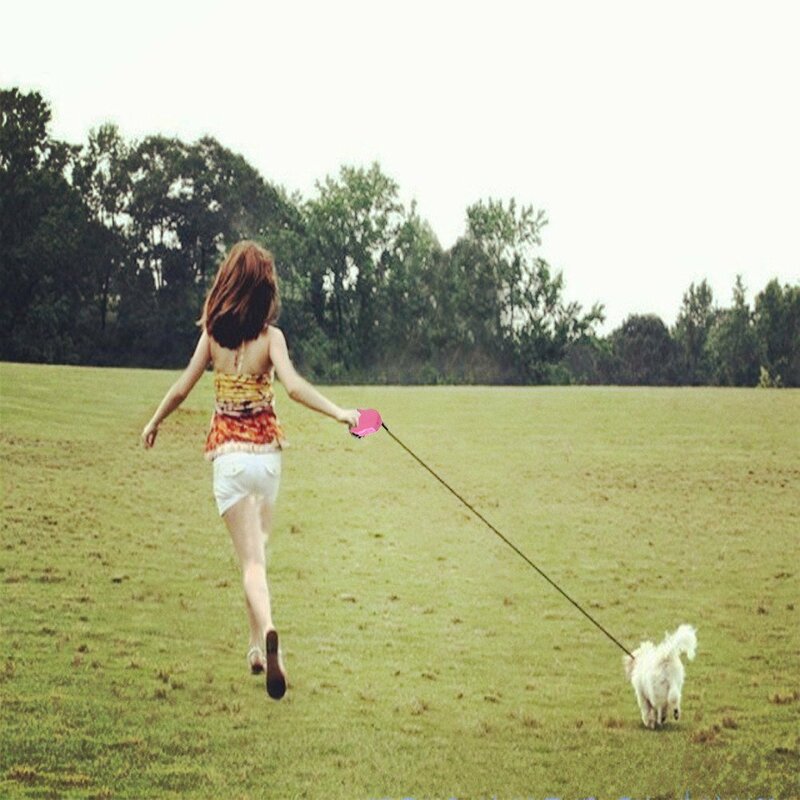 · When the leash is at the desired length, push the small top black button in with your thumb. This will cause the leash to lock. To release, press the large black button down. · To temporarily hold your pet at a certain length, hold down the large black button with your thumb. once released the leash will then begin to retract. · The leash or hook can also cause serious cuts, abrasions, burns, and amputations. · This includes children infants. & pets who come in contact with the leash or hook. Never wrap the leash around any body parts. · Don not use this retractable leash if on medication that makes you sleepy or groggy or under the influence of alcohol or drugs. · Do not attempt to open the housing or to repair this retractable leash. Refrain from using the leash if it becomes frayed, damaged, or is not working properly. · Don not hold the leash by the cord.